offers you the opportunity to experience learning Torah in Israel one-on-one while also being in a Yeshiva or Midrasha setting. Whether you are a newcomer to advanced Torah studies, an advanced student looking to explore a particular topic or sharpen your skills, or anywhere in between, we can custom design a meaningful and impactful program lasting from one morning to three weeks. We also offer the option to bring your child (ages 8-78) to learn with you. You can learn together, or we can design a program where you both learn the same topic – but with separate teachers. The Executive Learning Program provides individualized learning experiences, custom-tailored to your available time and interests. The possibilities are literally as wide as the sea of Torah! Below is a list of some of the topics many participants have found interesting (many of which also lend themselves to learning with, or in parallel to, your child). Overview of Oral Law (Torah Sheb’al Peh)– What do we mean when we refer to the Oral Law? What are its components? Why do we need both a Written and Oral Torah and how can we be sure it is true? Tour of Mishna and its Commentaries– What is the role of mishna? Why is it so important to learn? Learn the skills and methodology to make mishna meaningful and enjoyable. Introduction to Gemara– What is Gemara? Why do we learn it? How does it work? Learn through a passage of Gemara and find out what it’s all about! Enhancing and Sharpening Gemara Skills- Brush up on textual and analytical skills and gain new methods and tips to decipher, understand, and appreciate Gemara. Development of Contemporary Halacha– Research a topic starting with its source in the Gemara, following its development in the Rishonim through the Shulchan Aruch to modern poskim. Fundamentals of Jewish Philosophy– Delve into the deepest and most important works and topics of Jewish Thought. What is the purpose of creation? What is the mission of the Jewish People? How and why do we serve and connect to our Creator? Basics of Halacha– Improve, review, or fine-tune your knowledge of the basics of Jewish daily living regarding areas such as Shabbat, Kashrut, Brachot and Tefillah. Contemporary Issues in Medical Ethics– Research the sources and opinions on key topics such as organ donation, reproduction, and experimental surgery. Aligning Business Practices and Ethics with Halacha– Study passages of Gemara and Rishonim that show the Torah perspective on issues that arise in the modern business world. Keeping Halacha in the Workplace– Be educated of the challenges that confront a religious Jew in the modern workplace and the halachic solutions available. Israel- Appreciating the Land– Enrich your visit to Israel with source-based learning from ancient and modern sources about the importance and significance of sights and places you will experience. Learn about the unique halachot that apply only here and the halachic issues and challenges in a modern Jewish State. A Deeper Look at Complex Stories in Chumash and Navi– Revisit some of the well-known episodes and issues of Tanach that challenge us to delve deep into the text to gain a better understanding. We can choose them – or let us know which stories you would like to explore. 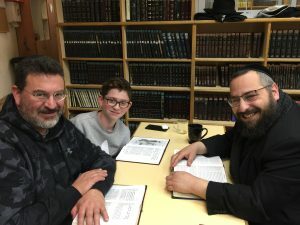 Understanding Tefilla and Making it More Meaningful– Regardless of your background, there is always more to uncover about the meaning of the siddur, the purpose of prayer, and possible approaches we can take to deepen our connection to davening. The Philosophy and Meaning of Mitzvot– Through the works and writings of the greatest thinkers of our history, from medieval to modern, gain an appreciation for the meaning behind doing mitzvot in general and study specific mitzvot and their meaning and relevance to each and every one of us. Key Laws of Interpersonal Relationships– How do we implement the Torah’s laws regarding how we treat our fellow Jews. Learn what our sources say about topics such as not embarrassing others, not taking revenge, and how to properly do chesed and give tzedaka. The cost for this individual program is $75 per hour or $225 for an entire morning. The cost for bringing along a child to learn with you and your teacher is $5 per hour. The cost for bringing along a child to learn with a different teacher is $65 per hour or $180 for an entire morning. What Do Some Past Participants Say? I attended the Executive Learning Program in May 2017 for a two week immersive learning experience. I had the most wonderful and meaningful experience at Shapell's and I would highly recommend it to anyone considering going. Firstly, Rabbi Wolff and the team are highly knowledgeable and inspirational. 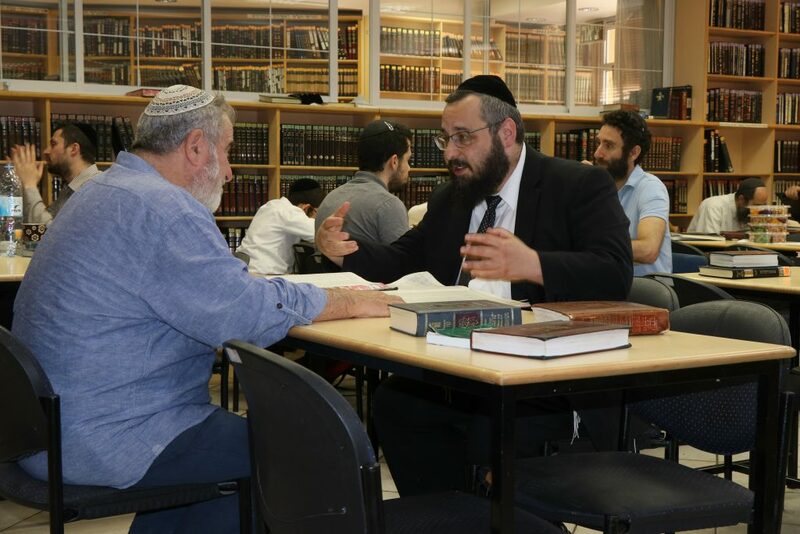 Rabbi Wolff created a customized learning program which allowed me to gain a fantastic experience of Yeshiva life having no previous Gemara training whilst developing my skills for the future. The atmosphere at the Yeshiva is very warm and I was made to feel welcome and included by the fellow students who kindly invited me along to lunch or any other events going on. I can't wait for my next visit! I had an excellent experience learning in the Executive Learning Program with Rabbi Wolff. I was in Jerusalem for only a couple of weeks with my family, and I wanted to spend some mornings learning in a yeshiva. I was very pleased to learn about the program because it offered an opportunity to set up a flexible learning schedule for my short visit. In the few days I had learning with Rabbi Wolff, he introduced basic Gemara principals to me in a concise and understandable fashion, went through some Gemarot and Chumash, and, most importantly, gave me a clearer vision of the type of teacher with whom I would like to further develop my learning. I would certainly recommend the Executive Learning Program to others who are in Jerusalem for a short period and want to incorporate meaningful learning into their time there. 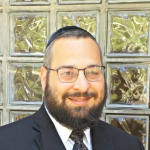 Rabbi Binyamin Wolff is the director of the Executive Learning Program. Rabbi Wolff comes to Shapell’s with a great deal of experience teaching Torah to well educated professionals. He teaches a very popular Daf Yomi class in the Rechavia neighborhood, where he has also spearheaded and directed community learning organizations for well over a decade. He has taught extensively at the Orthodox Union’s Israel Center, and continues to serve on the faculty of Yeshiva Aish HaTorah. He holds rabbinic ordination from Yeshiva University and is an alumnus of both Yeshivat Mir and Yeshivat Kerem b’Yavneh.